Walker Jones of Sumter won the Upstate Junior in a five hole playoff. 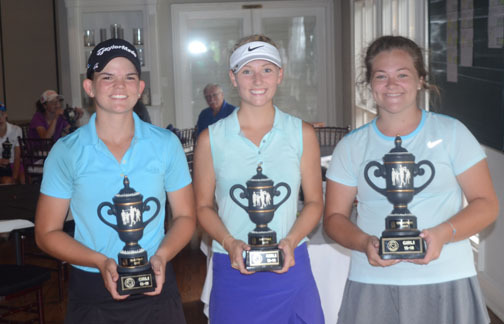 It took Walker Jones a little longer to win the boys title than it took Jordan Guyton to win the girls championship at the Upstate Junior Classic at Smithfields in Easley. Guyton won the overall girls championship with scores of 76 and 75 for a 151 total and a three shot victory. Jones needed five extra holes before he was able to close out Ian Faulconer in a playoff to win his first significant junior title. Jones had a one shot lead over Faulconer going to the 16th hole. 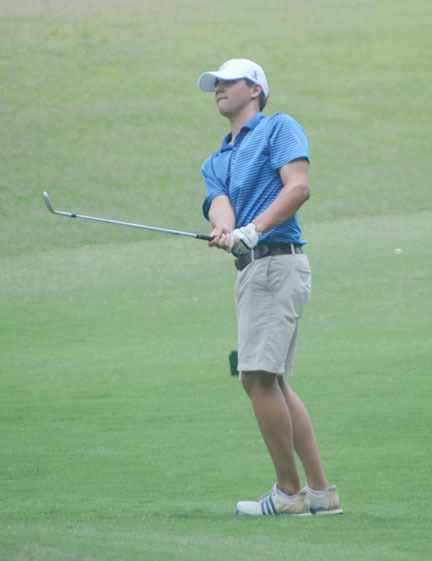 The Sumter golfer carded a double bogey on the hole while Faulconer bogeyed the hole. The two golfers were again even just as they had been to start the final round. Both golfers made pars on the 17th hole, but on the final hole Faulconer had a chance to claim the win. Ian Faulconer of Greenville finished second at the Upstate Junior. “I had about a 12 foot downhill put that could have won for me,” said Faulconer. “I missed it and we had the playoff,” he said. Through the first four holes the two golfers were mirror images of each other. The both hit solid tee shots, good approach shots and made putts. Jones’ and Faulconer’s games were so similar in the playoff that the two even got into trouble on the same side of the second playoff hole. The both escaped with outstanding recovery shots and clutch putts. Jones thought as the playoff went on that Faulconer was a slight advantage. “He was hitting his drives a little further than mine and his shots into the green got a little closer to the pin,” said Jones. “I was able to stay with him, but it was back and forth,” he said. Unfortunately, the playoff was decided when Faulconer’s tee shot on the fifth playoff hole landed in a hazard. The J.L. Mann high school golfer had to take a drop and then couldn’t recover from his mistake. 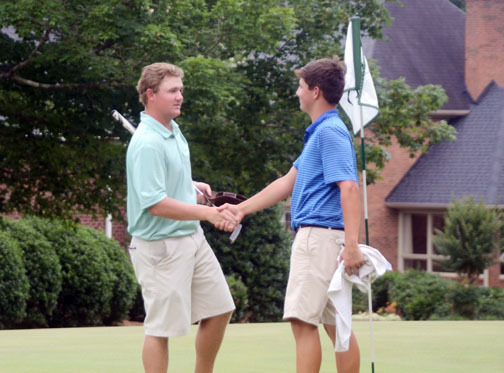 Walker Jones (left) won a five hole playoff for the Upstate Junior Championship. “It just got away from me and I my next shot hit a tree. I knew I had to take a chance because Walker was in great position,” said Faulconer. Jones could have used up several putts to win the tournament, but he only needed two for a par and his first victory in a big in state junior event. “I had a good week at the state junior last week and qualified for The Blade which is my favorite tournament. Winning this tournament is pretty big for me,” said Jones. Brandon Masters of Piedmont finished in third place. Jordan Guyton (right) won the overall girls title at the Upstate Junior. Vicctoria Hall and Carleigh Greene finished second and third. Guyton, from Columbia finished in front of Victoria Hall of Moore and Carleigh Greene of Williamston was third in the girls 15-18 year old division. Sarah Boteler of Greenville won the girls 11-14 year old division. Molly Hardwick of Lexington finished second with Matti Padgett from Seneca was third. 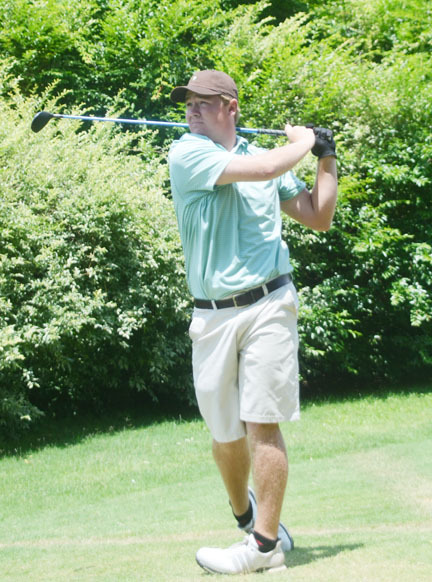 Christ Church golfer Jack Wofford from Greenville shot rounds of 77 and 75 for a 152 total and a one shot victory over Wyatt Hughes of Piedmont. First round co-leader Perry Hartin of Travelers Rest finished in third place with a 154 total. Tip Price of Greenville won the 10-12 year old boys title over Colton Evatt of Greenville and Charlie Lamb of Greenville.